Kunstmeile Krems’ new centre, the State Gallery of Lower Austria, will open to the public with an exciting programme of events next year. 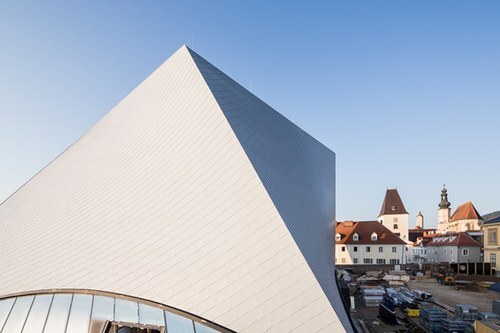 A new cultural hotspot with unique architecture has emerged in the World Heritage Site Wachau. The State Gallery of Lower Austria will first open its doors for an entire weekend on Saturday, 02.03. and Sunday, 03.03.2019. The main attraction during this period will be architecture by marte.marte under the motto ARCHITECTURE PUR. Many of the programme’s items and themed tours will focus on varied features of the building. Visitors can enjoy a range of artistic interventions that will be on show at the same time. A grand opening ceremony on Saturday, May 25th and on Sunday, May 26th, 2019, will herald in the beginning of the entire usual exhibition operations. To begin with, five exhibitions will be showcased across five exhibition levels covering 3,000 m2. The State Gallery of Lower Austria will thus act as Kunstmeile Krems’ centre. The Kunstmeile Krems currently extends from Stein’s Minoritenplatz square past Franz-Zeller-Platz square (to be known as Museumsplatz square in the future) to Krems’ Dominican Church and features the exhibition centres Forum Frohner, Kunsthalle Krems and the Karikaturmuseum Krems. A range of other exhibition openings and a large summer festival are bound to make the Kunstmeile Krems a lively one this opening weekend. Acting as new, dynamic exhibition venue for Austrian art, the State Gallery of Lower Austria combines items from the Lower Austrian National Collection with important private collection items. Themed and solo exhibitions are commentaries current issues. With a focus on the realities of human life, the programme encompasses all art genres and juxtaposes old and new. 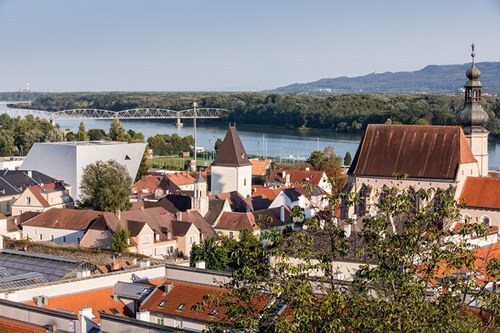 The new museum showcases Lower Austria as an artistic landscape that, alongside Vienna and the neighbouring states, does much to enrich the European art scene. It has been and continues to be a place of activity for outstanding artists. 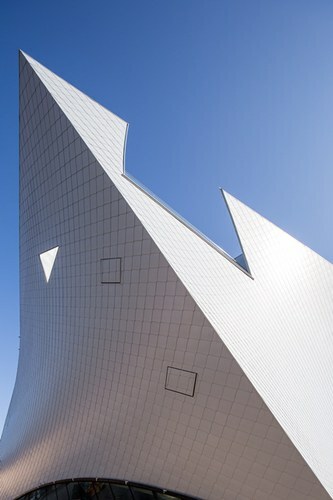 The new art museum’s uniquely twisted construction also serves as an architectural expression of the present. The atmosphere is welcoming, open and designed to encourage communication, which in turn makes the State Gallery of Lower Austria ideally suited to serve as the Kunstmeile Krems’ visitor centre and also as a unique meeting place located at the gateway to the Wachau region.